The proliferation of plate armor across Medieval Europe was shadowed by the development of crushing weapons like this war hammer. 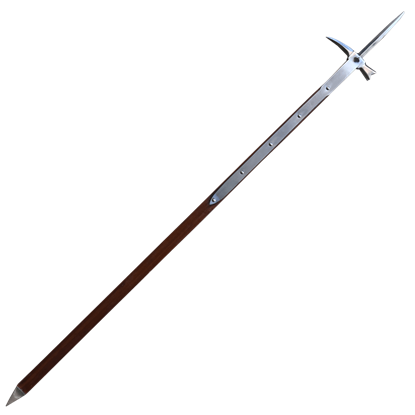 This impressive weapon is replicated from an example in the German National Museum in Nuremberg. Armor of all degrees would be sorely damaged with this hammer. The spike could crush through a helmet or damage a sword arm to great effect. Steel langets help to guard the shaft as well as secure the head to the hardwood shaft. 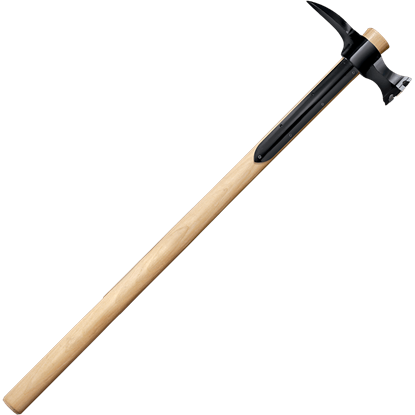 The M48 Tactical Survival Hammer might seem like an eccentric choice, but that is only until you see how effective and versatile it is first-hand. 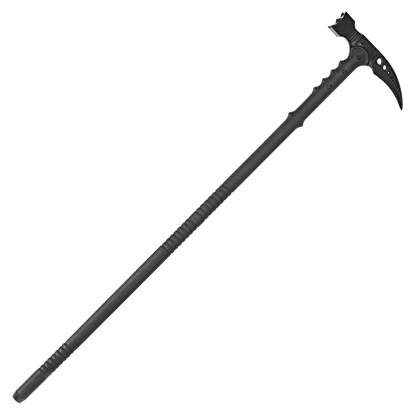 This war hammer doubles as a survival tool and a handy walking staff. War hammers were created to marginalize the effectiveness of the steel plate armour worn by warriors in the medieval era. 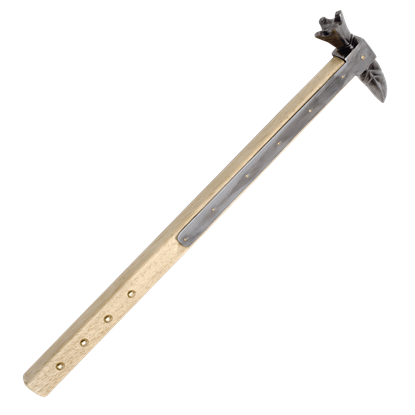 The Medieval War Hammer by Cold Steel is a well made and battle ready reproduction of this stunning weaponry. 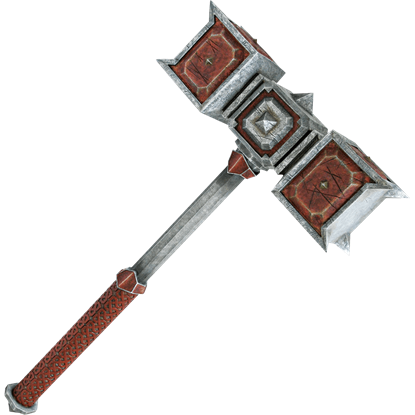 Developed in response to the increasing popularity of thick plate armor, war hammers were designed to deal concussive blows to pierce through steel. 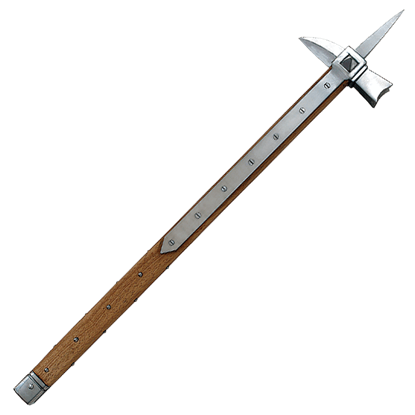 The Studded War Hammer is a splendid representation of this classic medieval weapon. 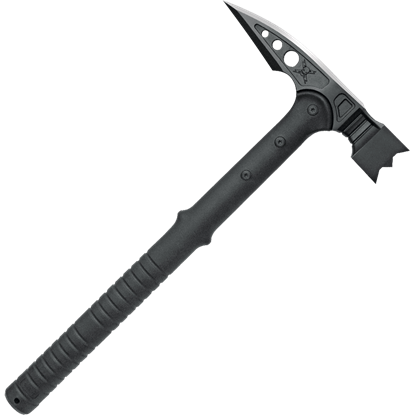 Blending breaching and defensive capabilities in a sleek design, the Tactical War Hammer is incredibly durable in its construction and features a menacing head with a broad hammer and a sharp piercing spike. When medieval knight meets Venetian War Hammer, the knight is sure to taste defeat. 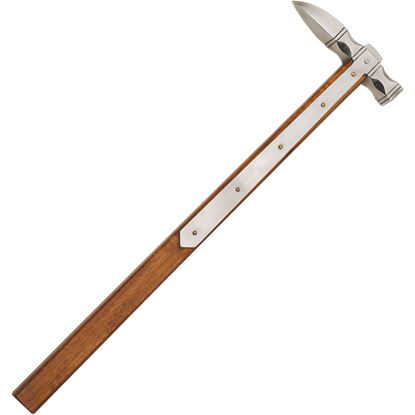 Based on historical designs, this hammer is similar in design to the Bec de Corbin, with a balanced design that utilizes hammer, spike, and spear. By the mid-1400s, armour had developed to a point where it was almost impervious to a sword blow. 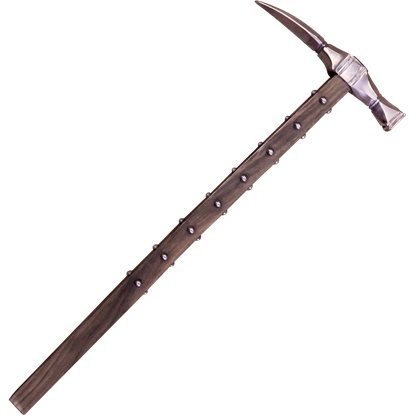 That is when the knight or man-at-arms would reach for a good solid weapon like the War Hammer to defeat their well-armoured foes. One of the greatest warriors in Middle Earth, Dain Ironfoot led his army of Iron Hill Dwarves in defense of Erebor in the mighty battle of the five armies. The War Hammer of Dain Ironfoot is an authentically detailed reproduction.